Friday night in a small town, and Books! 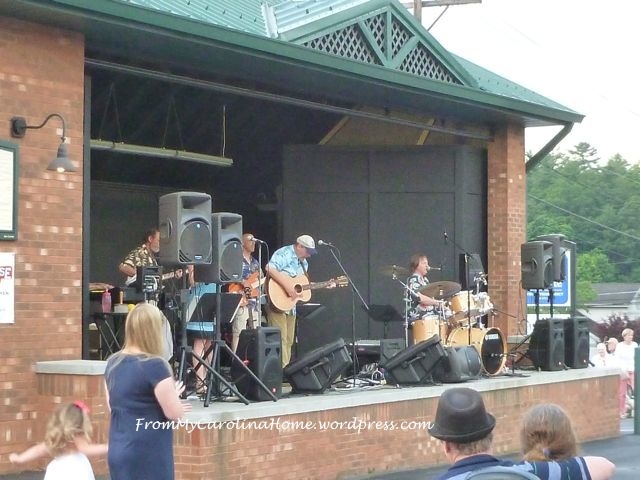 Last night was the beginning of a concert series that our small town does every summer. 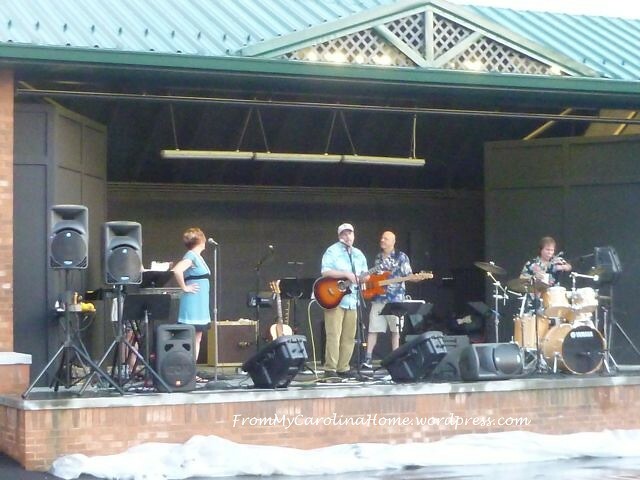 It is called Music on Main, and is free, just bring a chair. 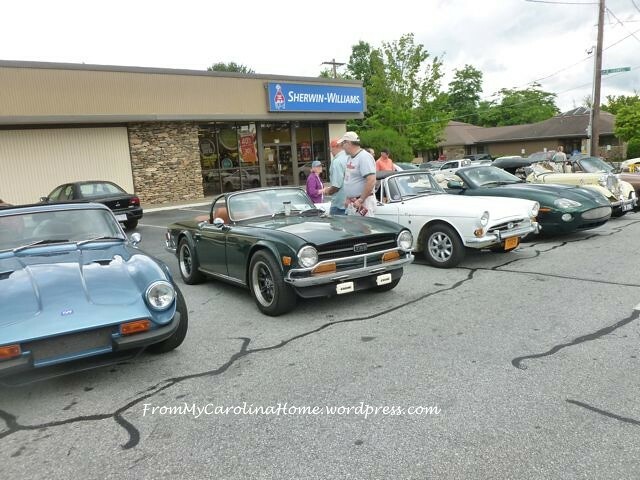 Our car club decided to attend the associated car show too, so we all gathered at a local shopping center and drove in together. Music was provided by Tuxedo Junction, playing oldies music, and lots of people were dancing. This stage is a permanent structure at the Visitors Center. 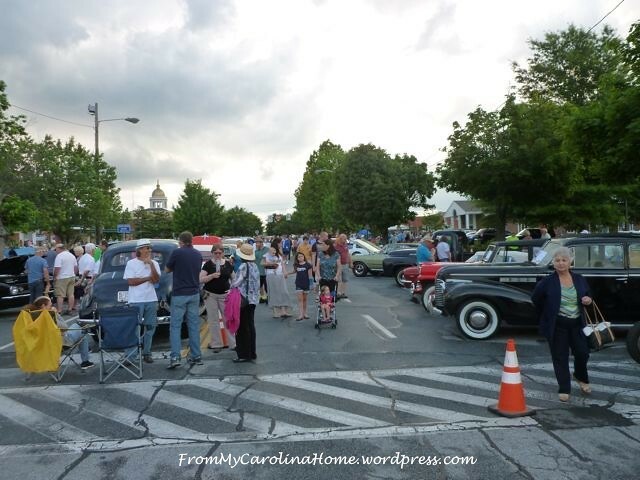 There were at least 150 vintage cars parked along two blocks downtown. 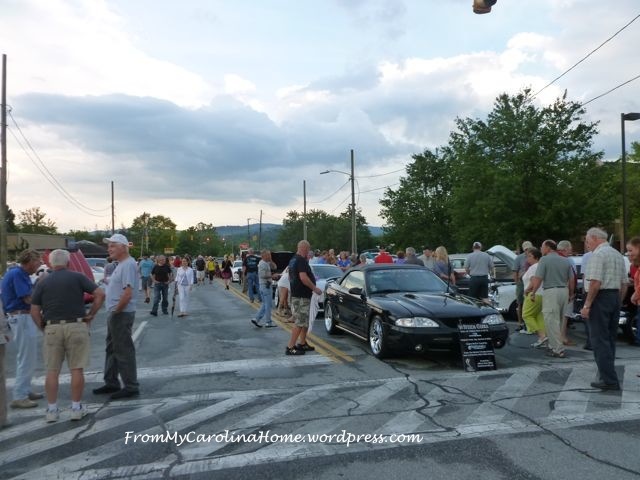 I think there were a thousand people there, looking at cars and enjoying the music. So many that it is hard to see the cars in this shot. But you can see some mountains in the background. 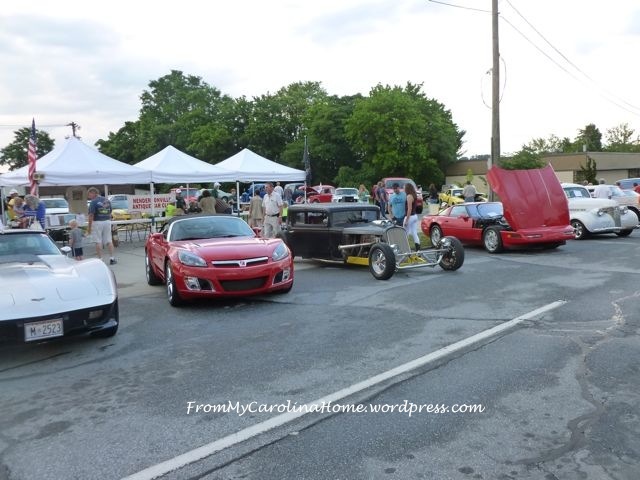 All kinds of cars were here, mostly from the 50s and 60s, but a few others too. 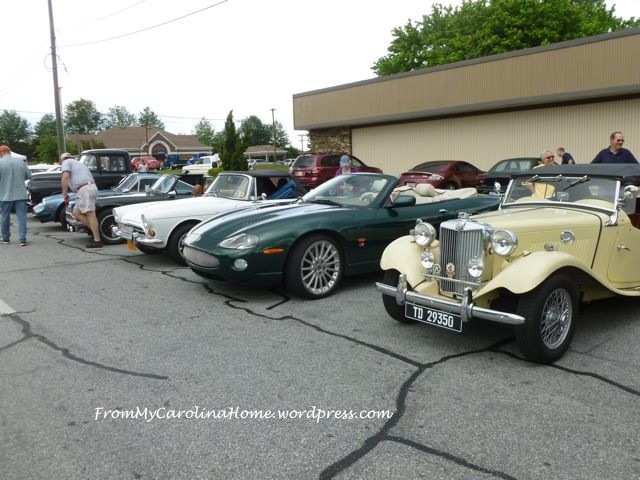 Our club was able to park together, we had eight cars plus a few more members who walked in. They were afraid it was going to rain. And they were right. A little shower came through while we were in a restaurant having dinner, but then another one came later. The bottom fell out for about 15 minutes! But that was long enough to thoroughly soak clothes, hat, chair, everything. 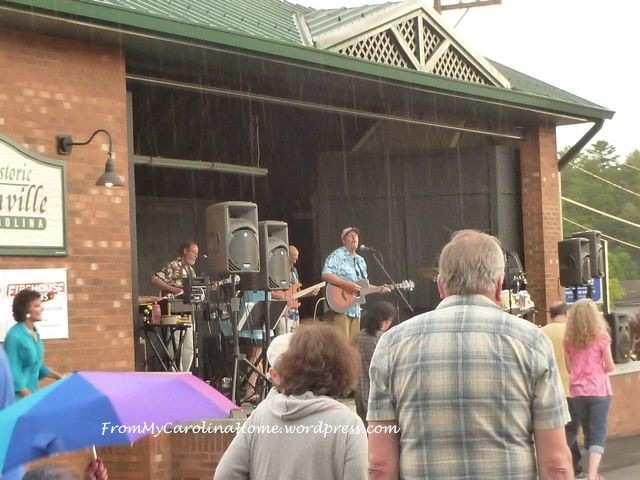 After the shower, the band came back to play again, and they stayed late to make up for the lost time during the rain. It was wonderfully cool then, and the music was great, a mix of oldies from the 50s, 60s, and 70s. You can see the tarp on the ground where they had to quickly cover up all the electronics while the rain came down. We all had a great time. Now, onto the book news. 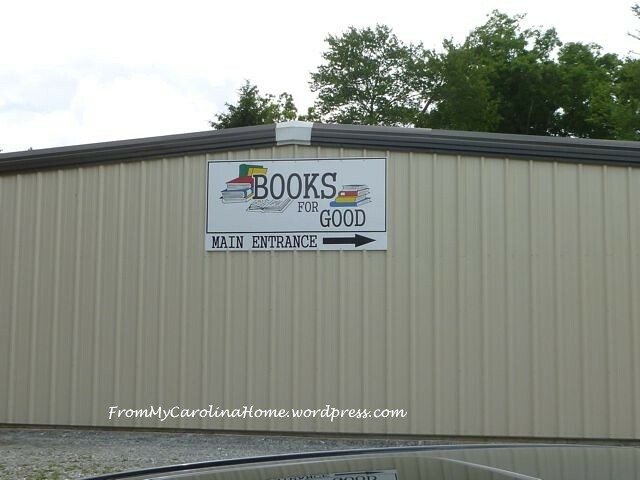 If you love used bookstores, and you happen to be within driving distance of Fletcher, there is a great used bookstore that opened up last year. I heard about it in April, and just now found it. It is called Books For Good. It is in a warehouse area, near the corner of Butler Bridge and Hendersonville Road, all the way in the back. 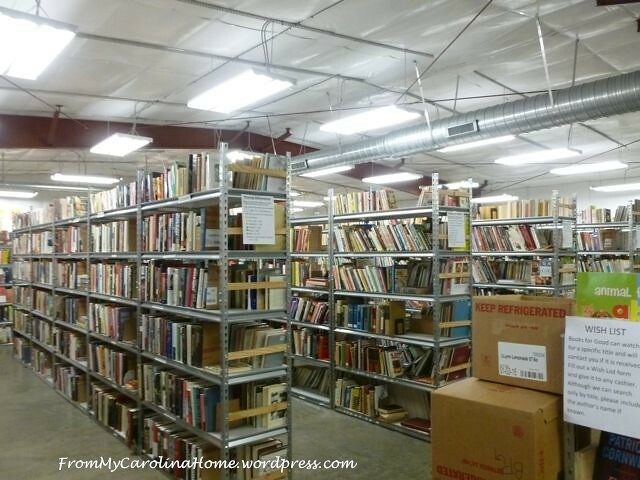 They have a fantastic amount of books, and profits go to the charity of the donor’s choice. Each book is individually entered into their computer system, with its charity information. Their hours are 12-5 M-F, and Saturday 10-2. Prices are great, I bought a hardback, fairly recent, decorating book for $2. I saw everything from 50 cents up to $8, with most things in the $2-5 range. But I didn’t have nearly enough time to look! That was just one area. Put their big sale on your calendar now, July 31 and Aug 1 everything in the store will be 25% off. Such a wonderful idea! I hope you can visit soon if you are local or coming through the Fletcher area. I’ll be going back really soon as it is on my way home from work. DH is going to have to blame the county for tearing up the road I usually take to work, and forcing me to go a different way, which led me past this place. Maybe I won’t miss Half Price Books so much now. What an amazing bookstore!What a great idea!AriadnefromGreece! What town is this? 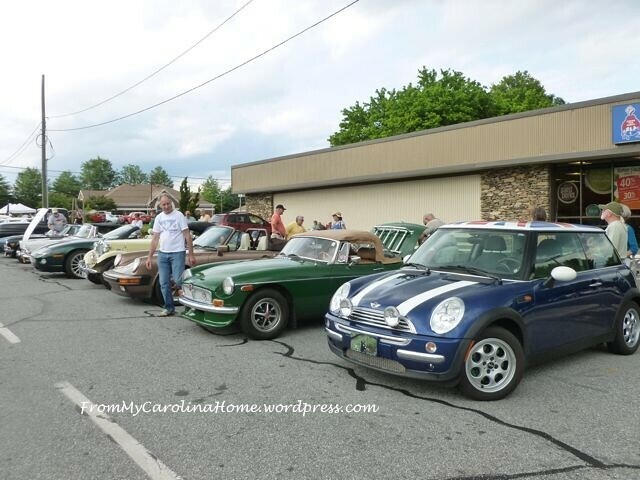 We live in Pisgah Forest and love local gatherings. Thank you for the heads up on the book store! We love a good day trip and a book store sounds like fun. 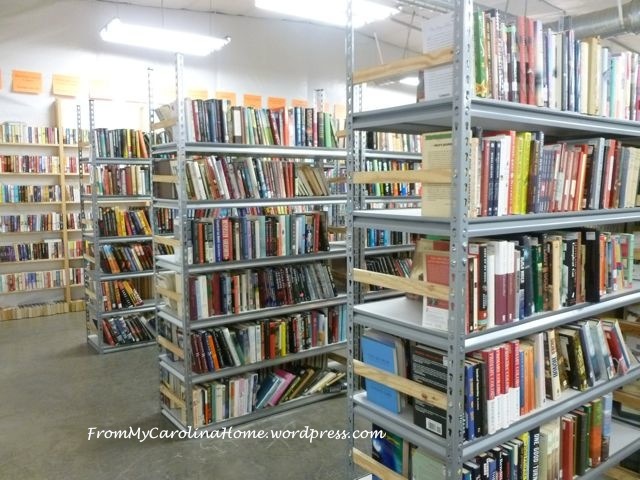 We are in Greenville, SC so a trip to Fletcher—Foam and Fabrics for me and Klingsport for him—and now the book store. 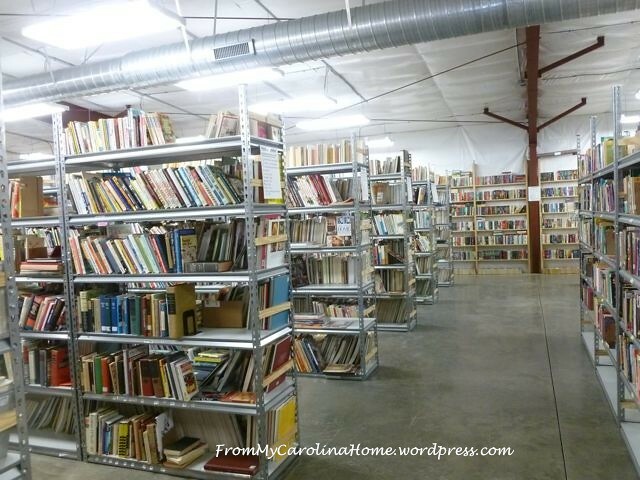 Have you ever ventured to the Green Valley Book Sale in Virginia? It’s a great place but at least a 2 day trip for us. Thanks again.